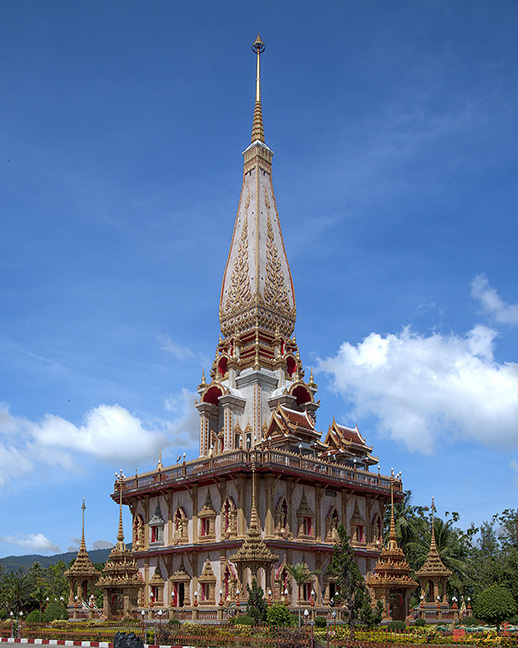 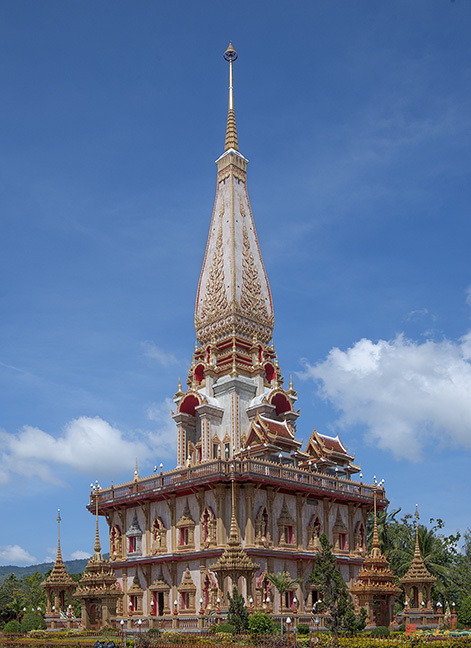 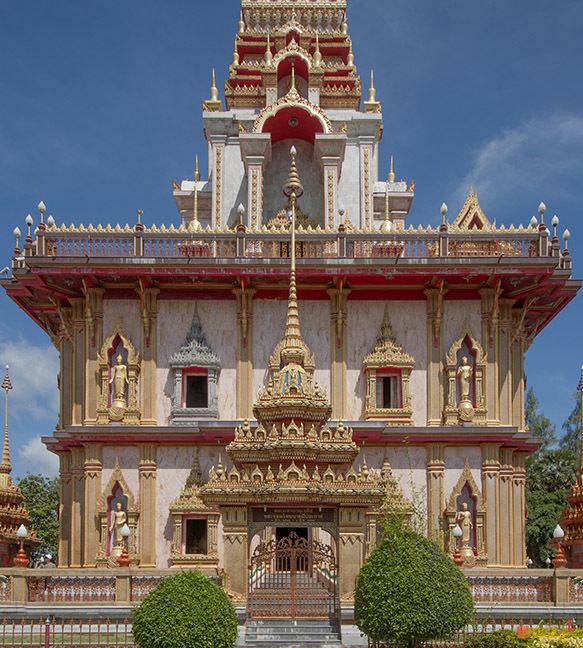 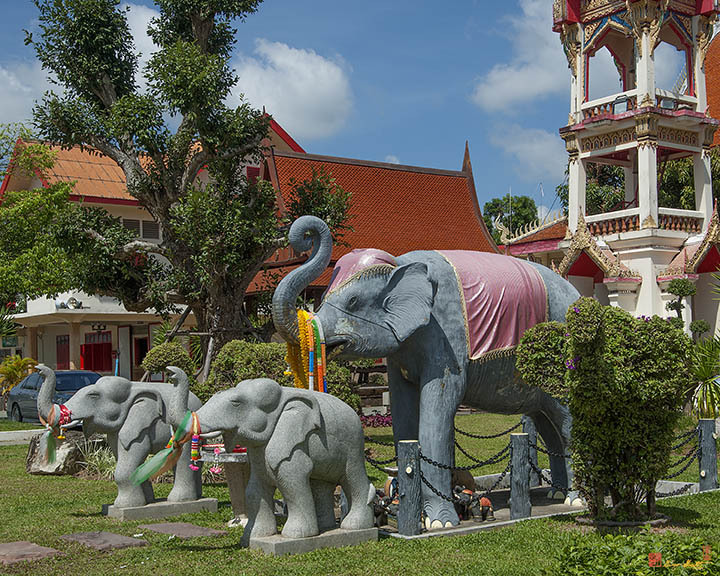 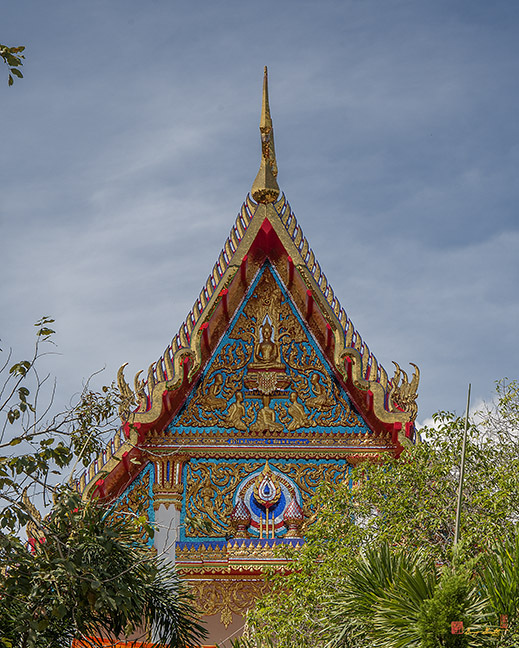 Wat Chalong, วัดฉลอง, also called Wat Chaithararam, วัดไชยาราราม, is located in the Chalong area near Mueang Phuket, or Phuket Town (เมืองถูเก็ต), Phuket, Thailand. 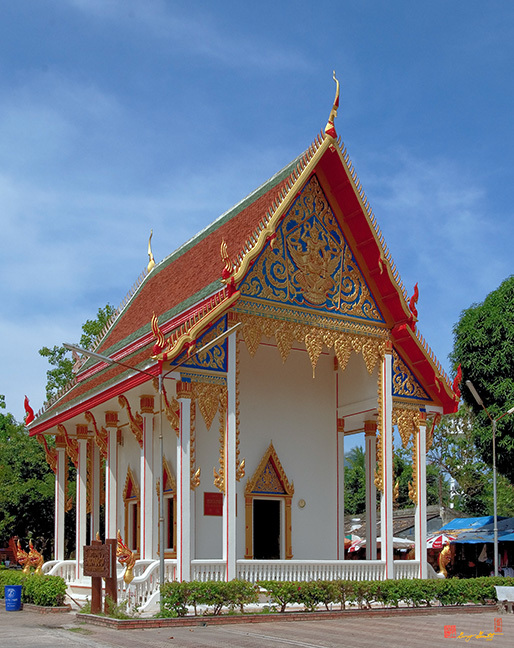 The temple was originally built in 1837. 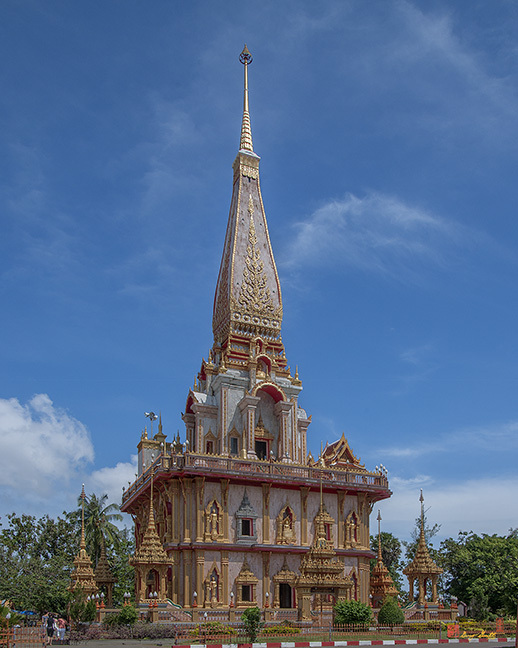 A new Phramahathat Chedi is currently being constructed to house the Phra Borom Sareerikatat relic, a piece of one of the Buddha's bones brought from Sri Lanka. 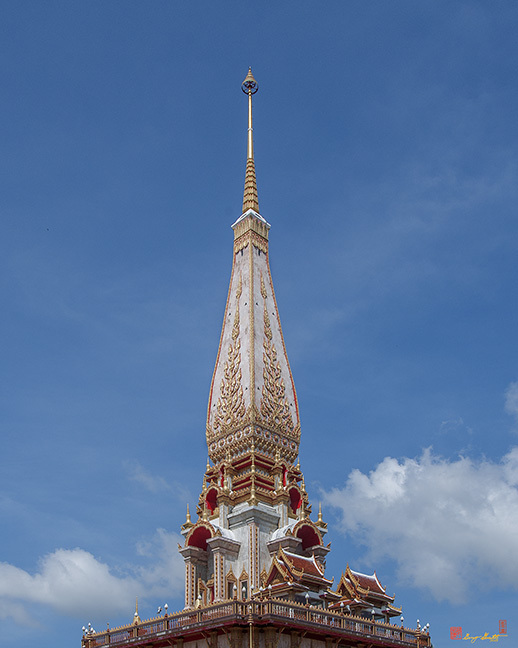 The new Phramahathat Chedi combines architectural styles from Southern, Central and Northeastern Thailand. 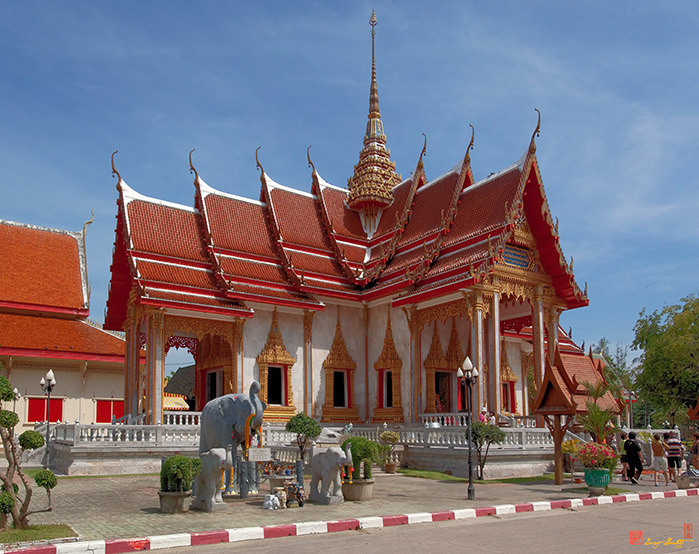 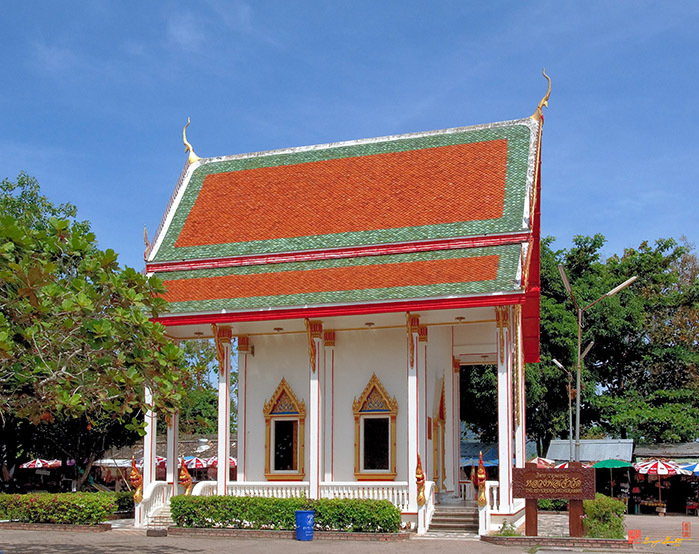 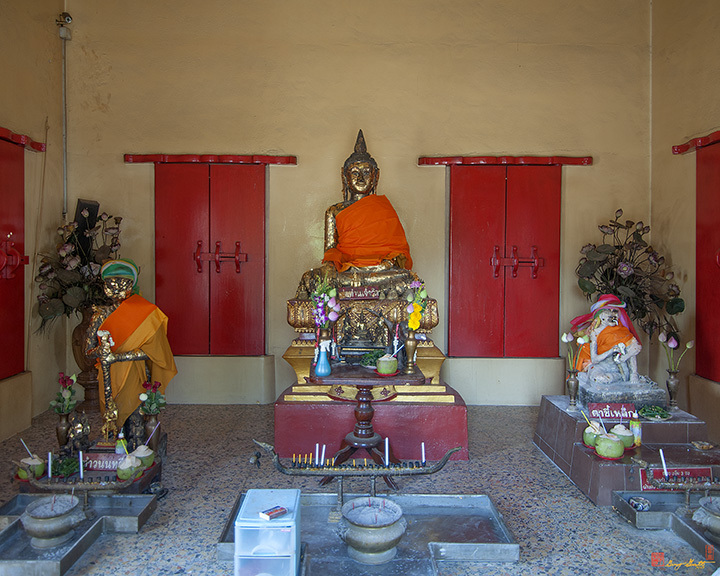 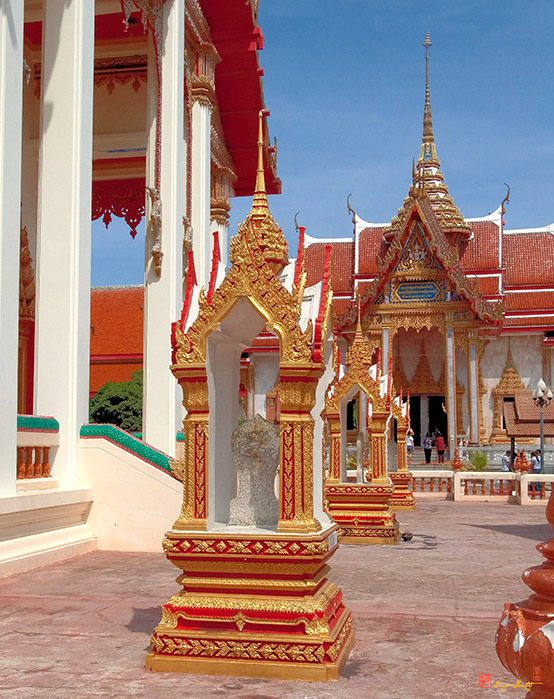 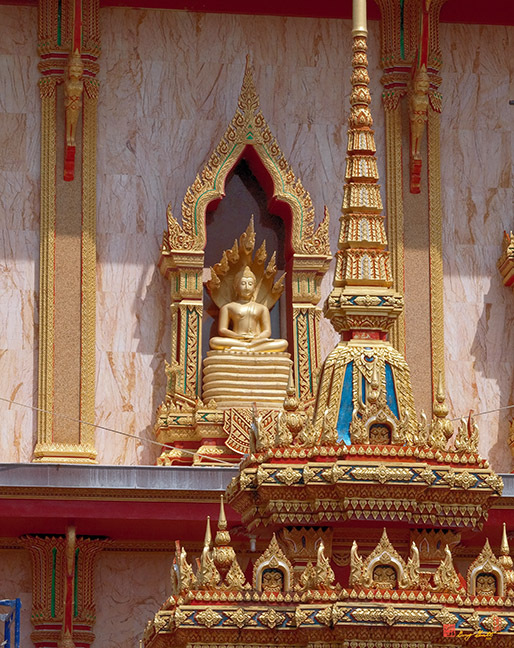 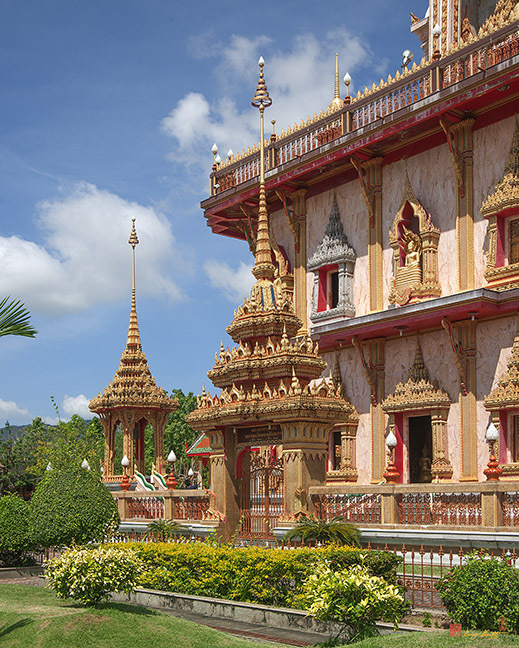 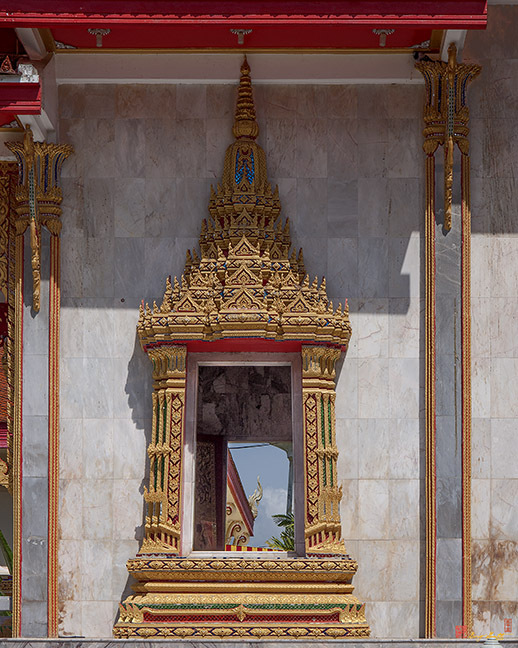 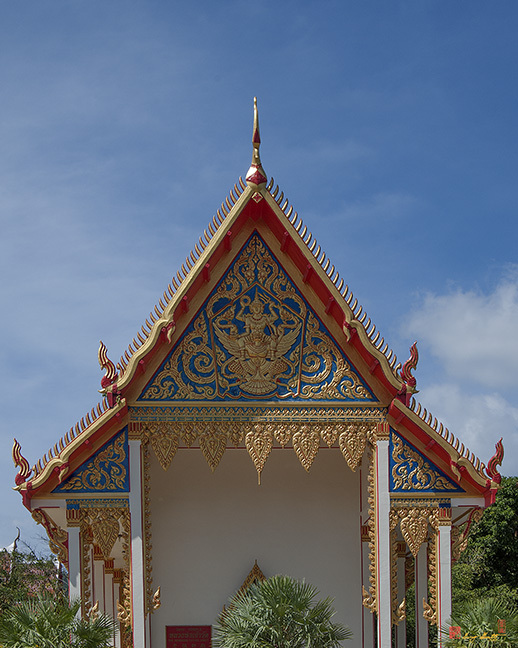 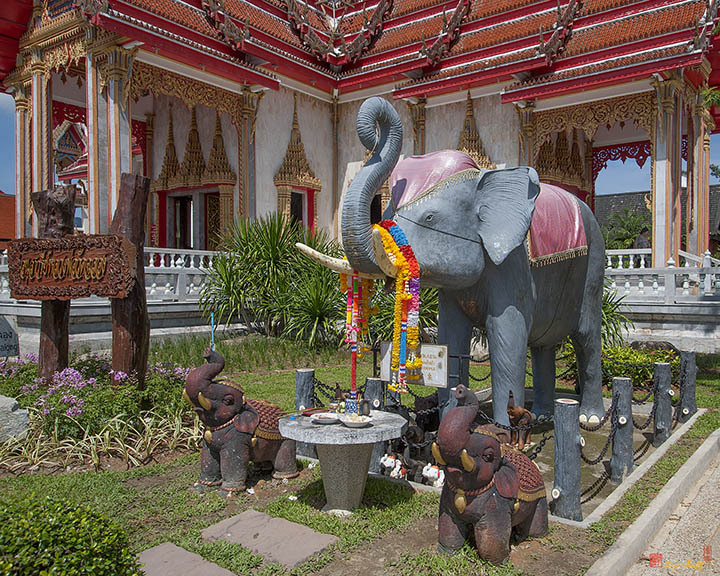 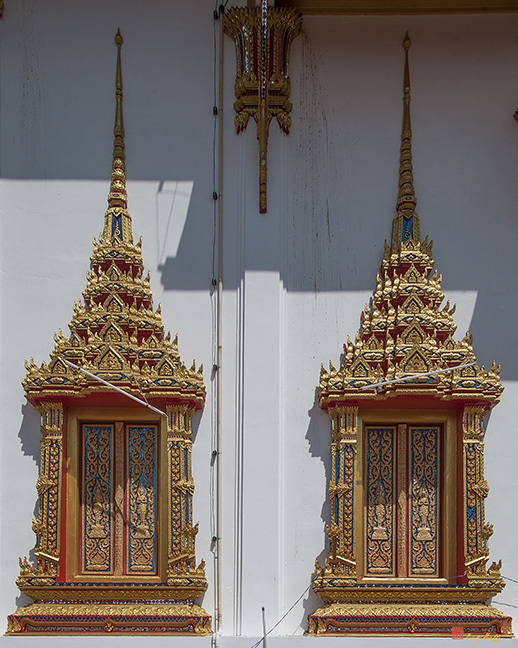 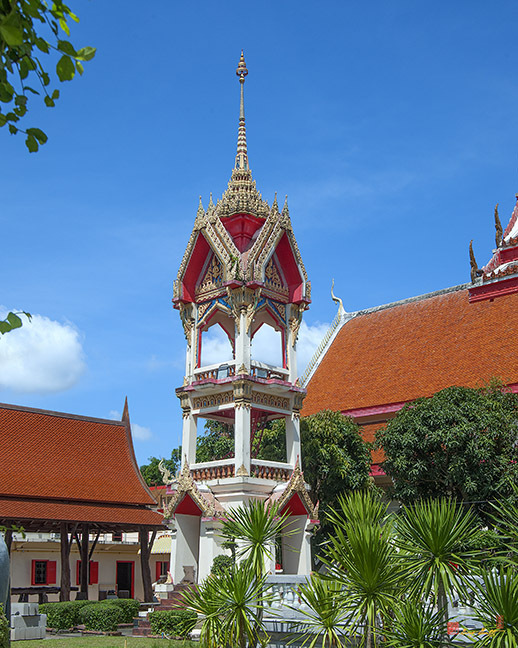 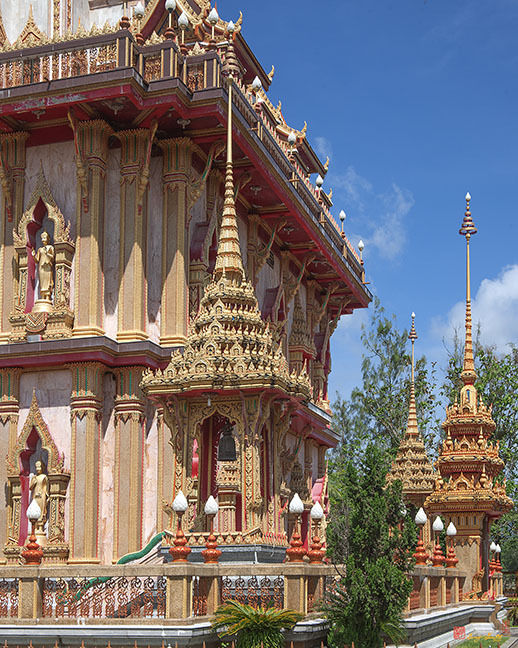 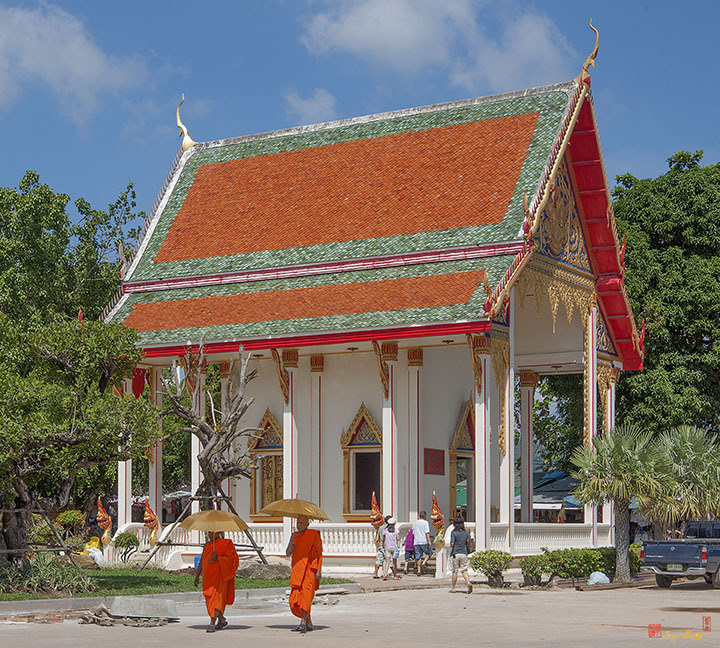 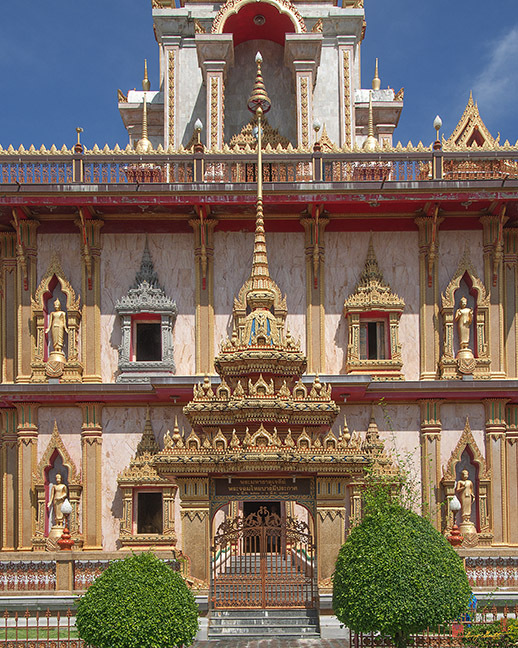 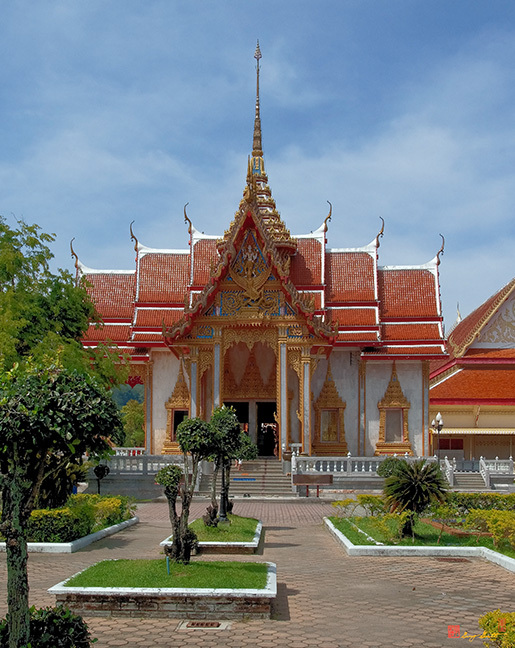 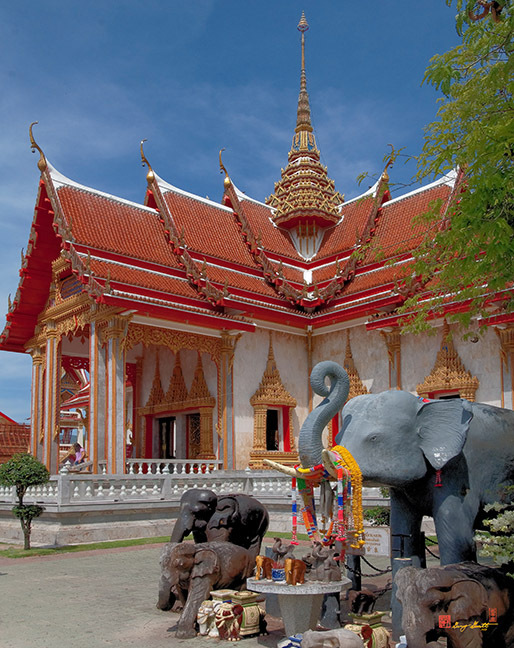 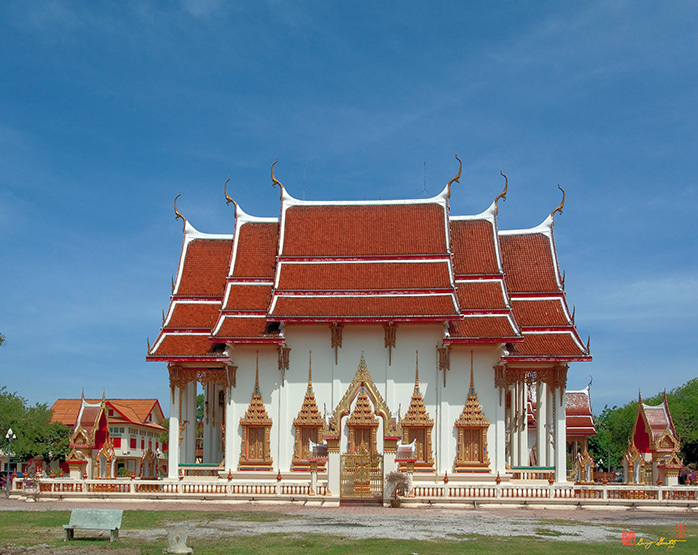 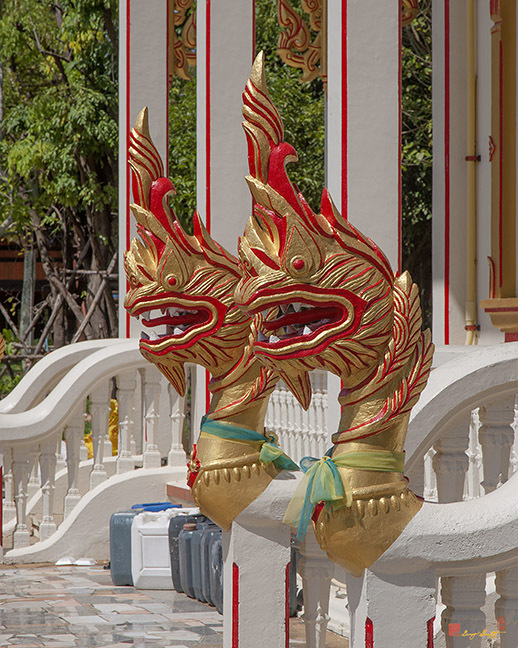 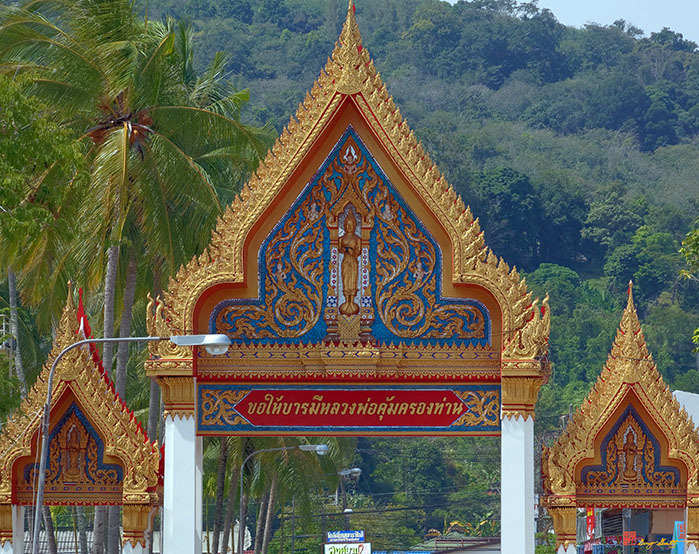 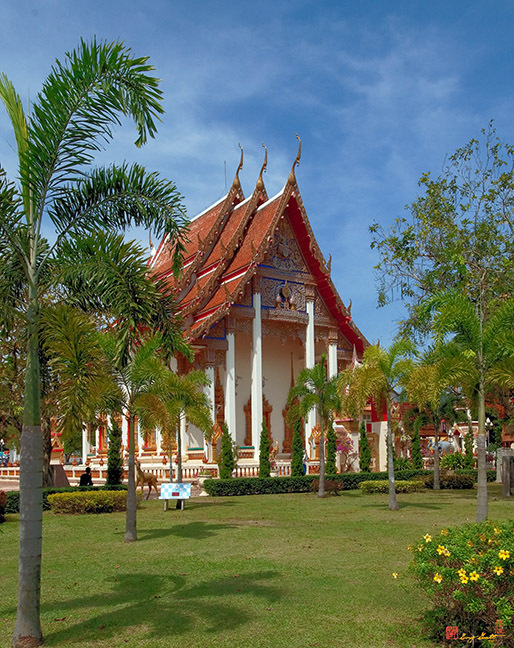 Wat Chalong enshrines statues of Luang Phor Cham and Luang Phor Chuang, Phuket's most revered monks. 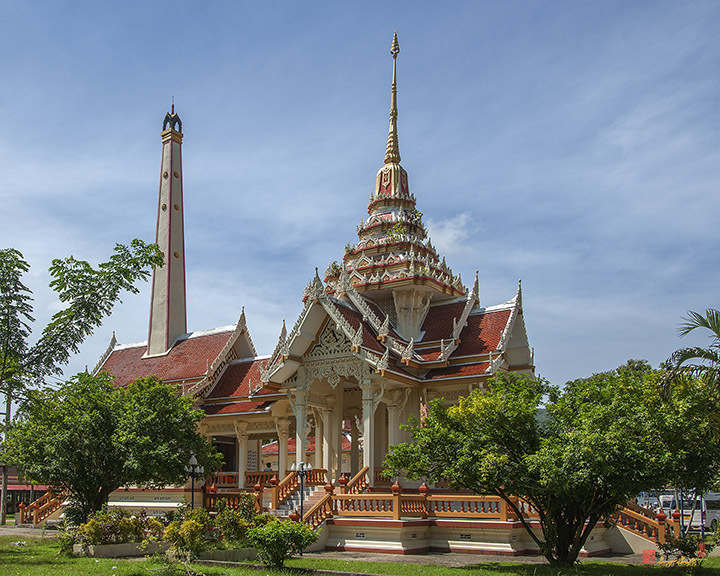 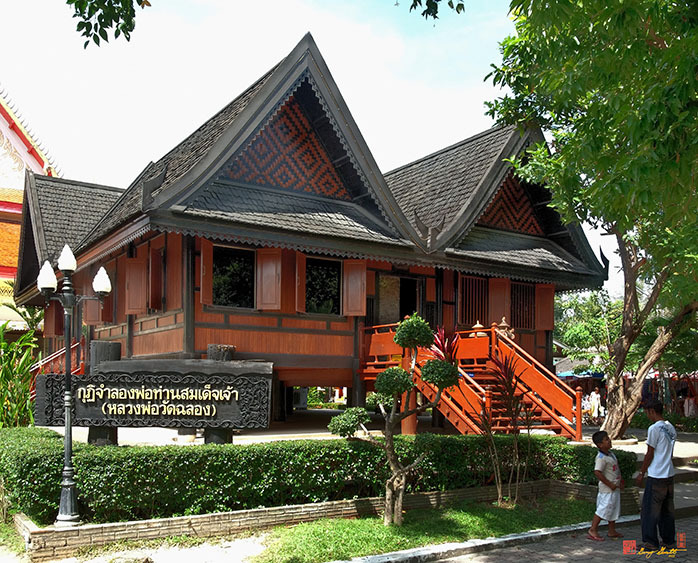 In 1876, during the reign of King Rama V, Luang Phor Cham led the Phuket people in the fighting against the rebelling Chinese who intended to take over Phuket. 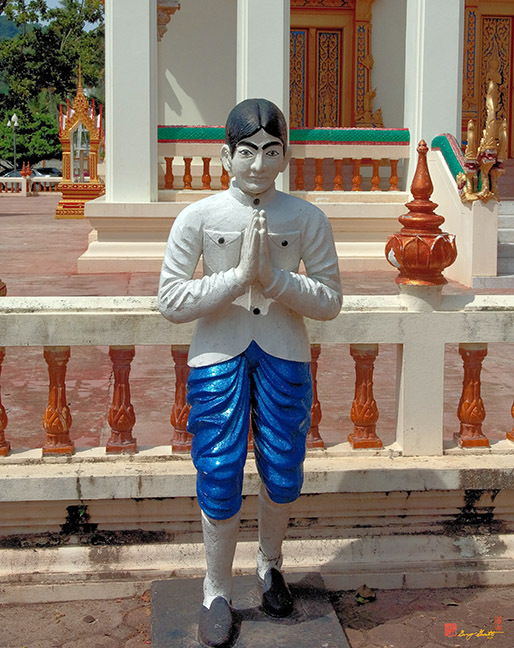 After the victory, he was nominated as Phra Kru Wisuthiwongsajarn.